This program shows you what to look for and how to make decisions on weak cylinders. Bill shows you tests with your DSO to pinpoint misfire causes that you can’t do with a scanner. This course also helps end the confusion by giving you scope settings for testing/voltage, time, slopes and trigger source. This class illustrates how to reduce your diagnostic time by teaching you how to utilize the tools you already have in your shop to complete a successful and efficient fix for your misfire. Instructor Bill Fulton will go through more than 15 different intermittent problems that he has seen in his years of testing and diagnosing today’s cars. Each test case shows varieties of intermittent failures. Veteran AVI instructor Dave Hobbs shares his decades of electrical troubleshooting experience that will help you have victory over those phantom electrical problems many times caused by voltage drops. 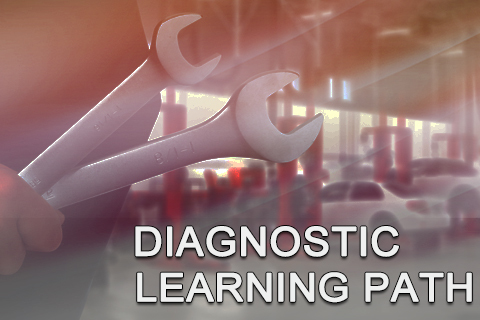 This covers a step by step approach to engine diagnostics: analytical troubleshooting---where to start, preliminary tests you can do to be the most accurate with your diagnostic time ---- deciding which tool is best to use for which type of job. In this course, Ron Bilyeu takes you through the ins and outs of reading and understanding computer engine data and how to apply that data to real world diagnostics. Join instructor Dave Hobbs in this training program on mastering the module flash! Dave will cover the J2534 standard for module flashing, how to determine if your customer needs a flash, the tips and tricks for actually flashing a vehicle, and finally how to follow-up a successful flash. The Instructor dissects the mechanical and electrical components in this high-pressure fuel delivery system, explains the benefits and drawbacks and examines the differences in manufacturers.